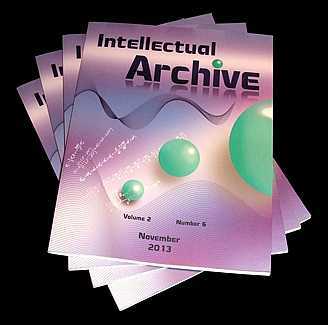 This page allows you to purchase the single issues and to order your annual subscriptions for "IntellectualArchive" multidisciplinary journal and "IntellectualArchive Bulletin" containing abstracts for all the works archived the previous month. The "IntellectualArchive" journal (ISSN 1929-4700) presents the most recent and most advanced articles in Physics, Astronomy, Mathematics, Economics, and other sciences. Our authors are prominent scientists from various universities and scientific organizations from all around the world, including USA, Russia, Canada, Germany, Israel, China, Japan, and other countries. To view the November 2013 issue online - please click HERE. (Please be patient while 8 MB .pdf file is downloading). To purchase the annual subscription, please select the subscription type and click the “Pay Now” button below. If you do not have a PayPal account you may still pay with a debit or credit card as a PayPal guest. You may also send a check in US funds to address mentioned on "About us" page. N.B. All prices below include a delivery charges. 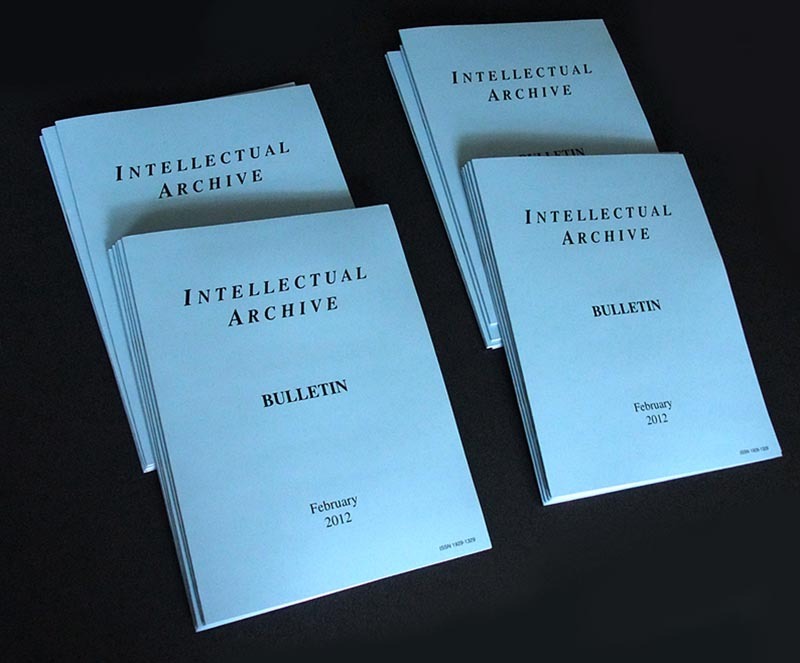 In addition to online and journal publications, we also print a "IntellectualArchive Bulletin" (ISSN 1929-1329) containing abstracts for all the works archived in our repository. Please feel free to download and review the Jan.-Sep. 2013 issue of "IntellectualArchive Bulletin" to get a feel for the bulletin's layout. To purchase the annual subscription, please select the subscription type and click the “Pay Now” button below. If you do not have a PayPal account you may still pay with a debit or credit card as a PayPal guest. You may also send a check in US funds to address mentioned at "About us" page. PLEASE do not forget to provide us with your mailing address.